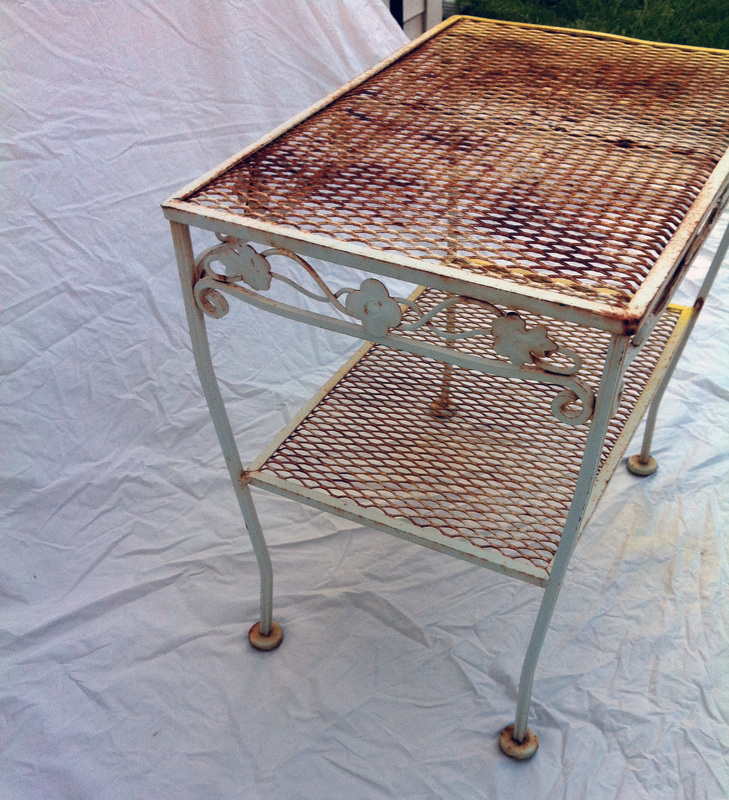 I’m kind of cheating with this post because it’s not a completed Before and After, but I thought perhaps y’all would want to chime in and help me decide what to do with this cute little table. I actually stole it from my old apartment in Andersonville. I think it was abandoned by some previous tenant, god knows how long ago because it was super rusty. 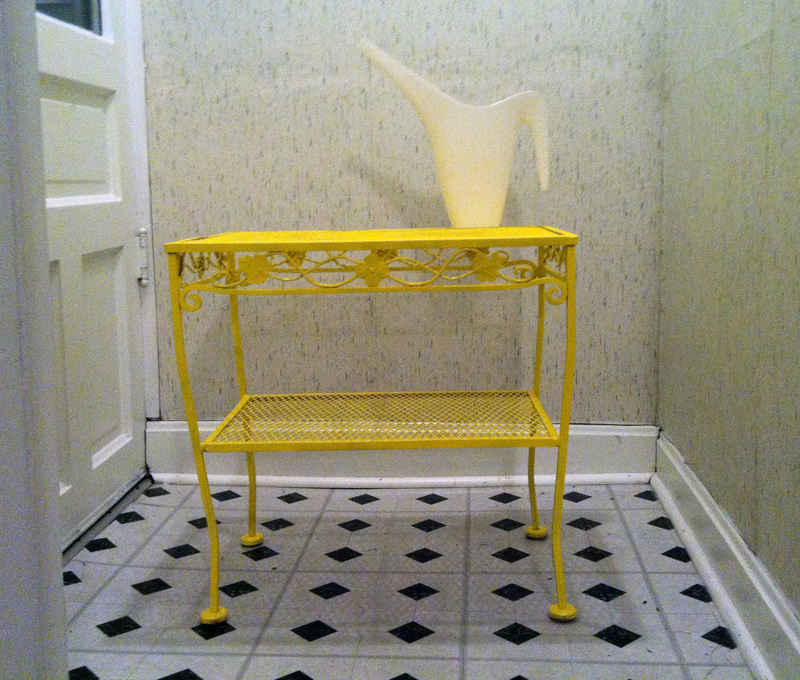 In my head I imagined it as a little bench to put in my (faux) entryway, a place I could sit on to take off wet boots for example, in yellow with a black and white cushion. But once I actually picked it up (Yes, I went back to the apartment weeks after I’d moved out and stole it in the cover of darkness. I’m not proud of this. Well, not really…), I realized that it’s actually more of a table than a bench. Should I leave it as is? (It’ll need another coat no matter what – I got one can in, and my landlord freaked out because she said her dogs were going to eat the paint… Remember when I contemplated the pros and cons of living with your landlord?) Get a piece of glass to sit on top? Is that expensive? It’s not a standard cushion size, but I think I could make one with a trip to Jo-Ann Fabrics and turn it into a bench anyway. I think maybe I want it to be more of a mustard color than this sunshine yellow. THOUGHTS? I vote keep it as a bench!!! I bet you could find a really cute patttern of fabric and make it into a wonderful place to sit and take off rainy boots and wait for rides 🙂 You landlord is one silly goose. Guess you will have to spray paint in the alley from now on.